Purchase Matching Jewellery Set ? customer comments....."...for the most beautiful wedding outfit. It was an absolute blessing. I had this outfit picked out before I had even found my fiance!!! I owned the DVD and countless pictures on this wedding outfit from the movie......thank-you for my wedding outfit ...I must add....thanks for additional gifts...very unexpected and much appreciated.."
Customers MUST mention choice of color when ordering! 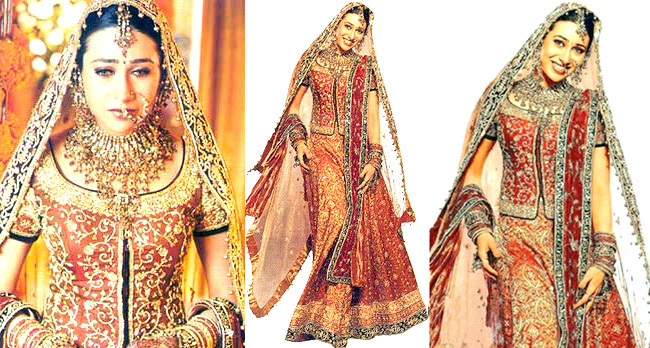 If no selection is made, the lehenga will be made in original color of Rust-Gold.